In the 1870s NZ Railways built two tunnels that by 1911 were redundant. We want to open the Chain Hills tunnel and Lookout Point tunnels back up to walkers, cyclists, scooters, recreationalists, commuters, and tourists to see a special bit of our Victorian heritage and make it easy for us young or old to connect with each other. 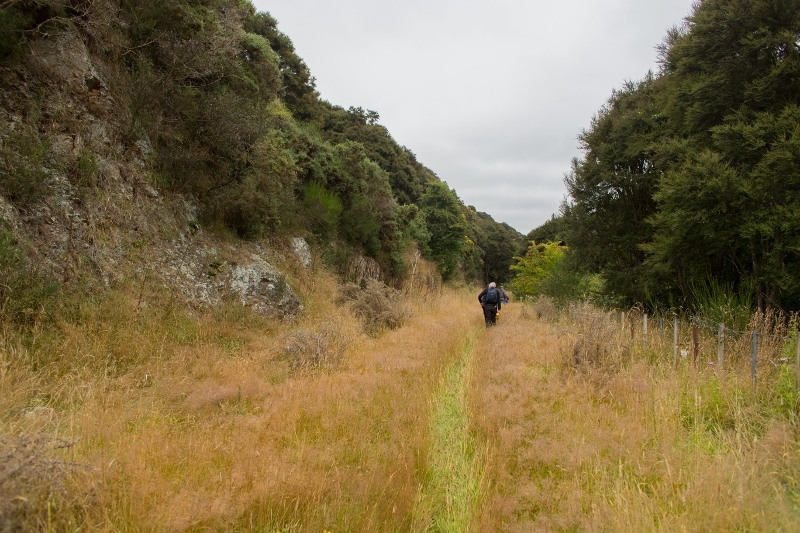 The trail will follow the old railway alignment between WIngatui and Caversham, which was in use from 1880 until 1910 It includes 2 currently disused Victorian Railway Tunnels. The trail will provide an amenity that can be used by everyone. It will offer an alternative to commuting by car. It offers a flat dedicated walking and cycling route with no vehicular traffic connecting the fast growing town of Mosgiel to Dunedin city centre. It passes through and close to suburbs where many potential users of the trail live, such as Fairfield, Abbotsford and Green Island. The trail consists of 3 sections that need to be completed. These sections will be worked on at the same time and opened when completed. You can help by offer your time, services or by donating. This project is funded solely by donations and all work is done on a voluntary basis. Do you support the trail and want to see it happen? Then we need your help!!! Gain access to the southern portal of the Wingatui tunnel which is privately owned. Having negotiated over a long period we have been able to secure the property on Gladstone Road in conjunction with the DCC. An easement will be created over this private land before it is on-sold. Please note: this is still private land with no public access. We have agreement with the northern portal land owner for future access via an easement. We are negotiating an agreement with Kiwirail and DCC for access to the rail corridor between the tunnel and Abbotsford and Green Island. 324 Gladstone Rd North, Wingatui., the Southern Portal of the Chain Hills tunnel. Share: our stories and be an advocate – tell people about the project - encourage them to donate or lend – every bit helps. The Dunedin Tunnels Trail Trust would like to thank the following people, companies or groups that have generously donated time or money to the development of the trail. All those generous individuals who were able to provide loans and donations for the project! I first arrived in Dunedin for University, then following graduation and a few years away came back to raise a family. With the children now gone, I spend my leisure time split between gardening, MTB riding, and geocaching. An IT professional by day, evenings are spent following up on tunnels and reading mostly Science Fiction. Started tramping in the Tararuas, came to Dunedin as a student and stayed. Joined the OTMC, tramping and XC-skiing Otago's block mountains, then with children and friends discovered the walking opportunities and history of our local area. Add in recreational mountain biking and geocaching. In my spare time I am a paper-shuffler in one of Dunedin's beautiful heritage buildings. Once the Dunedin Tunnels Trail is completed, you'll see me biking slowly out to Mosgiel for a leisurely latte!